In Eastern Africa, 42,000 BCE, the Koriba make camp on the banks of the mighty river. A guarded and inward-looking tribe blocks their progress. The Peult shun strangers, allowing no one to cross their territory. The young chief Temfe sets out to negotiate safe passage, taking with him only his trusted friend and ally, the impetuous, handsome warrior Arom. As Temfe pleads his case to the elders, Arom’s eyes search the crowd and rest on Lajula, most beautiful woman of the ancient world. He stares at her, infatuated. She gazes at him, entranced. But their love is forbidden by the rules of her tribe. Duty holds her back. Loyalty calls him away. Kadi, chief of the Peult, rebukes his daughter, rebuffs Temfe’s request and orders the Koriba to leave, never to return. Tribal allegiance drives Arom and Lajula apart. But love is wilder than a father’s rage, stronger than the laws of men, sweeter than safety and sharper than a mother’s tears. A timeless love story set in the stone age – ideal for fans of romance, historical fiction, action, adventure and tales of the ancient world. 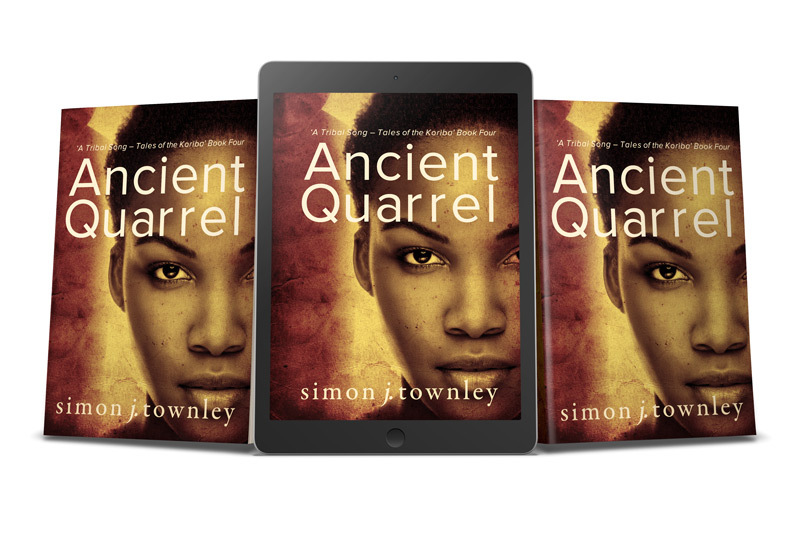 Ancient Quarrel, the fourth book in the Koriba series, works as a standalone story and contains everything needed to understand the characters and their situation.